There is something new in the world of Hot Yoga, The Telomere Bindle (tm). The Telomere Bindle is a self-contained Sweat Management solution never seen before in hot yoga class rooms, made in America, using non-toxic, anti-microbial, waterproof materials. There is something new in the world of Hot Yoga, The Telomere Bindle (tm). Imagine a hot yoga session without having to clean up the studio floor, wash a mat or put sweaty yoga gear in a gym bag. The Telomere Bindle is a self-contained Sweat Management solution never seen before in hot yoga classrooms. 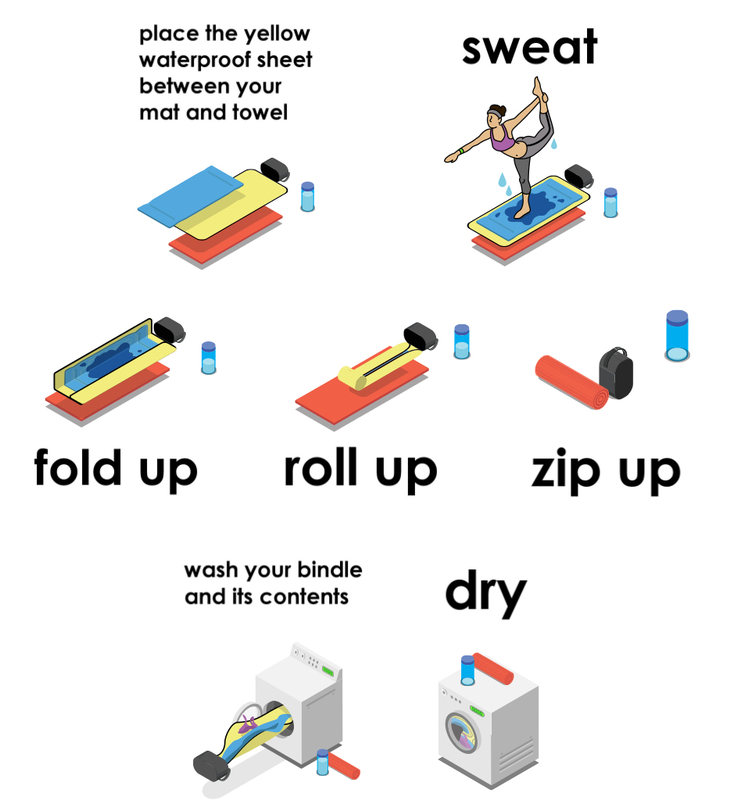 Made in America, using non-toxic, anti-microbial, waterproof materials, The Telomere Bindle provides a barrier between a sweaty towel and yoga mat. Yoga Studio Owners: For a limited time for sample consideration for the Telomere Bindle please contact Patrick Munger, 310-343-5563 or at telomerebindle(at)gmail(dot)com with your studio email.